Hey everyone, it's Steve. I have to fess up to why I might be responsible for no more beach time. I don't really want to take full responsibility for it, so I'm trying to think of a way to blame it on Wilbur. Dad took Kat and me to the beach for the second time a week or so ago. It was super fun. We swam, we played, we wrestled. Then we went home and ate supper. About 4AM on Sunday morning, I threw up on the bed. That really made Dad's morning, especially when he noticed rocks in my vomit. Then later in the morning I threw up my breakfast. All day Sunday I threw up everything I ate or drank. Dad got worried and so he loaded Kat and me up and took us to Charlottesville so I could go see my vet on Monday morning. I continued to throw up any water I drank and Dad stopped feeding me. 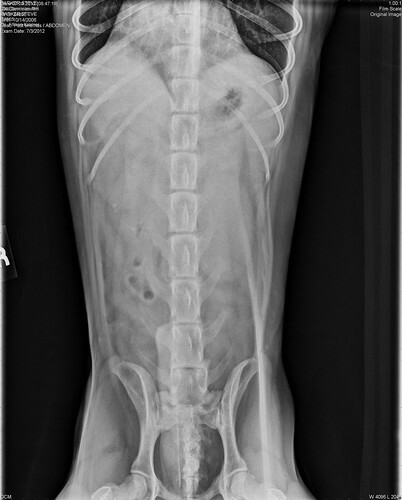 On Monday morning, the vet took some x-rays of me. While she said all of my organs looked nice and healthy, she was not pleased to find that white stuff in my insides. She said it looked like concrete. I had to stay at the vet all day Monday because I was very dehydrated and the vet needed to perform some "procedures". I'll spare you the details of what happened, but let's just say it was not too comfortable. 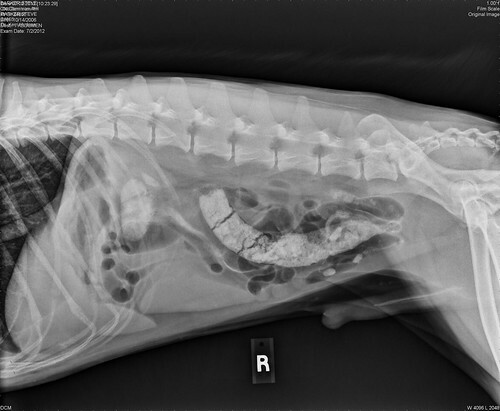 Unfortunately, the vet was not able to get the "concrete" out, except for an inch or so. The vet sent me home for the night. I was on pain relievers and muscle relaxers and Dad said I acted like I had no idea where I was. Overnight I was able to get rid of some more of the "concrete." Dad said it was a sand/pebble mixture. 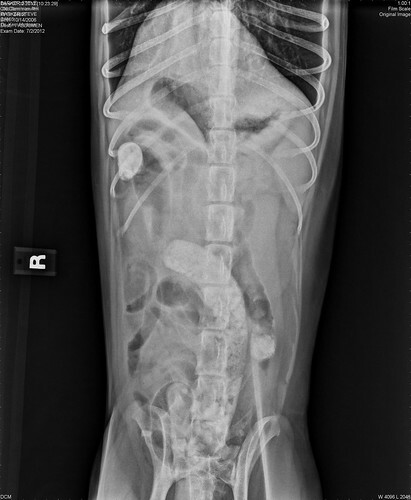 On Tuesday morning, I had another x-ray and it showed very little white concrete on my insides. The vet let me have some food mixed with mineral oil. I ate it right up, which was a good sign since I hadn't felt like eating before that. I got to go home after lunch. 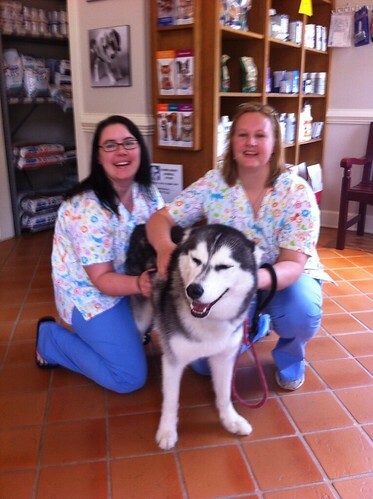 Everyone at Old Dominion Animal Hospital took really great care of me. Now I'm back to normal. Dad says my savings account has taken a hard hit, so I better behave myself. He thinks I won't get to go back to the beach until Mom comes home and one of them can follow me around the entire time to make sure I don't eat anything. I have never eaten rocks or dirt before so they can't figure out what got into me. I won't tell either!